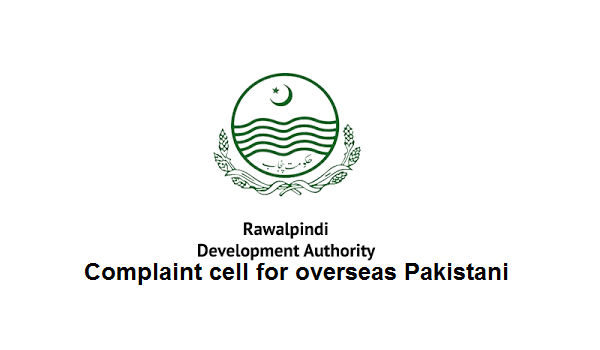 Under the directions of Commissioner Rawalpindi Division/Director General (DG) RDA, Azmat Mahmud, Administration and Finance Directorate RDA have established an Overseas Pakistanis Complaint Cell (OPCC) in RDA. OPCC have been set for redressing the complaints of overseas Pakistanis and for facilitating the citizens to give protection from land grabbing. According to official spokesman, Hafiz Irfan who is media coordinator RDA, the decision for OPCC establishment was taken in a meeting chaired by director Admin and Finance, Imran Qureshi which held here Saturday. Director Admn and Finance, RDA directed Dawood Khalid, Assistant Director (AD) Software & Computer Engineering to work as Focal Person, Overseas Pakistanis Complaint Cell (OPCC), RDA. Overseas Pakistanis can contact Focal Person for early redressal of their complaints in RDA on following email:overseas.pakistanis@rda.gop.pk and office no 0515555277.